If you’re seeking a stress-free renovation that costs what was originally quoted, then we’re Edmonton’s best choice for your next renovation project. 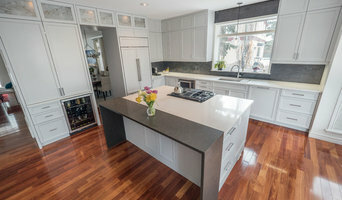 Since 2007 Peak Improvements, a Design Build Renovation Contractor, has completed hundreds of successful renovations in the Metro Edmonton area. Whether you’re in need of a simple bathroom upgrade, an addition, whole home makeover or even a brand-new home on your choice of lot, we got you covered. Our industry exclusive GUARANTEED PRICE + NO SURPRISE CONTRACT protects you from escalating costs on your next renovation or new build project. Our 6-Stage Process to a Successful Renovation makes your renovation project run smoothly because having a set procedure guides all parties to create your highly detailed plan. Our in-house design team is fully qualified with NKBA, IDT and CID credentials and will provide drawings, offer guidance and assist with all finish selections. Together you will decide on a “best use of space plan” that considers the flow and function of the home and suits all the needs your lifestyle requires. By putting both the designers and trades under one roof, communication obstacles that often delay a project are completely avoided. Your stress-free renovation experience continues even after together we have developed the rock-solid project plan. We abide by all government rules put in place to protect consumers and pay our taxes too! We have all the right stuff like Bonded by a Government of Alberta Pre-Paid Contractor License, Workers Compensation Coverage (WCB) for everyone entering your home, $5 million liability insurance coverage and a Municipal Business license. Every decision we make is based on what’s best for our client not for our company. We obtain any necessary permits if required. Our skilled carpenters, apprentices, trade partners and suppliers are time-proven partners in our company’s success. We only use well qualified experts in their field who share our passion for getting the job done right the first time. Now just sit back and monitor the project work schedule, review all the plans and materials through your secure access to our online Project Management Software keeping you informed every step of the way to your “Certificate of Completion”. If this is the type of renovation experience your seeking for your next project, call, text, e-mail or just stop by our office /showroom for a no obligation conversation about renovating your home. 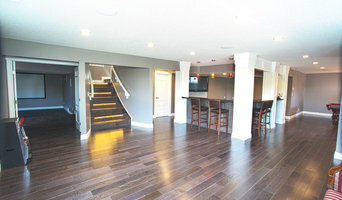 Do It All Contracting is Edmonton and St. Albert’s renovation experts. With years of experience completing interior and exterior renovation projects for happy clients, our specialized experts will bring your home renovation vision to reality. Do It All Contracting prides itself on excellent quality, timely service and customer satisfaction. We have an impeccable record with the Better Business Bureau and a long list of satisfied customers since our beginning in 1997. 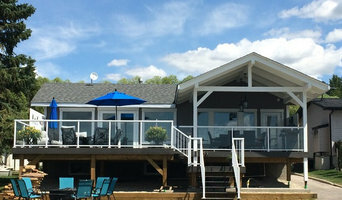 Revington Renovations is an Edmonton-based design-build firm that specializes in residential renovations. The company's success is built on its character and referrals. It has achieved a reputation of being highly skilled, organized and trustworthy, and has many proud supporters. Goodfella's Enterprises has been renovating homes and business in the Greater Edmonton area for the past 17 years. With projects ranging from $5,000 to $500,000, Goodfella's has the know-how and experience to make your dream a reality. Goodfella's brings a strong team of master craftsmen, an award-winning Interior Design team, and working relationships with the best suppliers in town. Whether you want traditional or contemporary, Goodfella's will transform your house into your home. Specializing in residential, and commercial owner John Perri will bring value, quality, and craftsmanship. Call today! With almost 2 decades of experience in the home-building and renovation industry, Joel Friesen emerges as a premiere builder and renovator of luxury homes. Joel's projects have been featured in Best Homes Magazine. His client list reads like a "who's who" in the trade. Joel's easy-going nature, sense of style, combined with impeccable workmanship earned him the respect of his clients, each one eager to recommend his services. Starting off as an apprentice finish carpenter, Joel has worked his way up through the ranks with a 'hands-on' attitude. This approach has enabled him to quickly spot potential problems and deficiencies early in the build... effectively eliminating client frustration. Joel strives to be a leading-edge builder with an eye on the newest trends giving the client the best recommendations possible. Whether you build from a standard floor plan or a custom-designed one, Joel will help you navigate through all the obstacles. Advice, suggestions and best industry practices are part of the package and there to help you make informed decisions. Joel's recent projects include upscale homes in Sherwood Park, Beaumont, and Leduc. These homes are the proof of the quality, attention to detail, and most important, the care Joel Friesen Homes puts into their projects. Hillview’s story goes back over 30 years, when partners (and cousins) Robert Hebert and Richard Hébert brought their respective expertise in marketing and construction together to fill the niche of a custom home builder, which was largely absent in the Edmonton region at the time. Their dedication to quality workmanship and customer satisfaction would see the company through three decades of economic ups and downs, and cement Hillview’s reputation for excellence. Today, Hillview’s principals have built upon the experiences of the company’s founders to provide their clients with the utmost expertise. We have the standards and processes in place, learned first-hand over the years, to meet any home-building challenge. 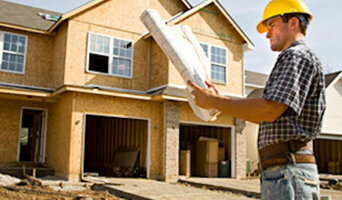 Why should I hire a contractor or civil engineer in Edmonton, AB? Civil engineers or building contractors, often play the role of a project manager. They oversee the entire remodeling or new home construction project and facilitate all day-to-day tasks that move it toward completion. Construction contractors can be involved from an early stage and can work closely with the architect to review plans, arrange for permits and inspections etc. In addition, Edmonton, AB general contractors are responsible for hiring subcontractors for the majority of jobs, such as electrical work, painting or plumbing. Most importantly, contractors should be on-site regularly to inspect the progress and resolve issues and track progress. How do I find a good contractor in Edmonton, AB? Finding a dedicated Edmonton contractor to build or renovate your home can be a challenge. Choosing the wrong contractor can lead to delays, bad quality of work and even legal problems. To avoid such problems, it's essential that you do your homework before deciding on the right general contractor. Research civil engineers and contractors in Edmonton, AB on Houzz, look through their work and read reviews to understand their style before you reach out to them for bid or quotes. One you have narrowed down your choices, meet with them to discuss a few aspects like the details of your project, the budget and the timelines. Also, always insist on having a written agreement before getting started on the project. Find a good Edmonton, AB contractor or civil engineer on Houzz. Narrow your search in the Find Pros section of the website to contractors. You can also search for photos and contact the contractor who worked on the project.